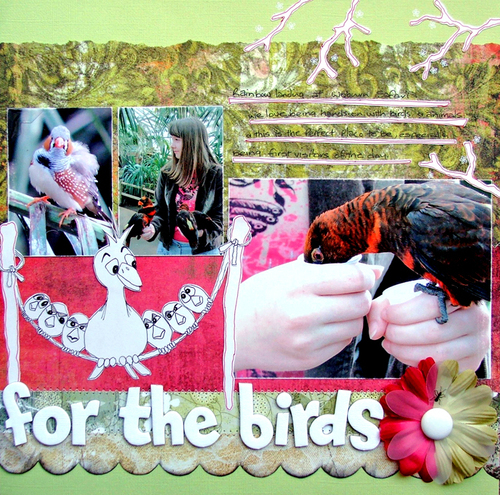 Carly and Kay at Alton Towers :) ... kits used: Weather Station, Pets, Green for Go alpha, Mail Art, Love You Loads, New Beginnings, Oh Boy, Embossed Alpha Set 1. Font: LD Remington. This documents my second job! 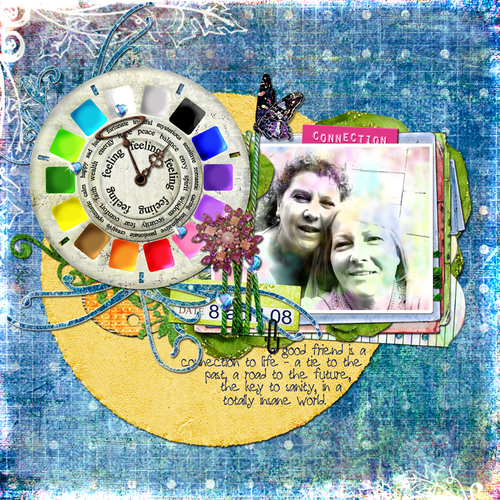 Hybrid layout - using DOODLED AND PAINTED ALPHA and HEARTS AND FLOWERS and printed the leaves from MIDNIGHT DIAMONDS onto transparency. 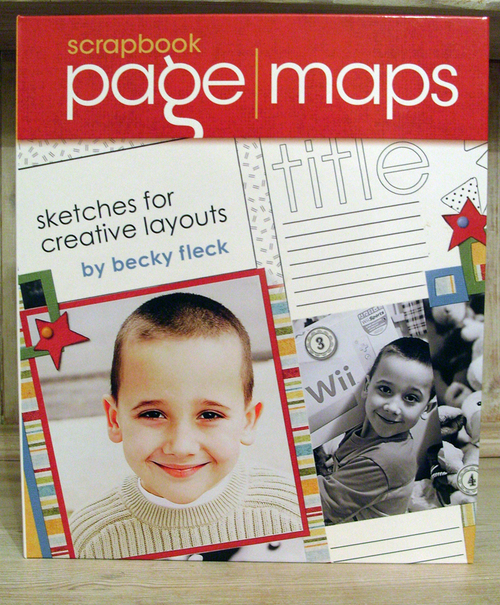 Bought this paper today too - as if I needed any more, but I couldn't resist! 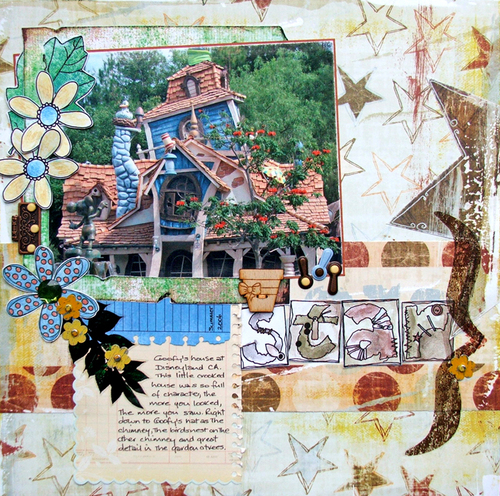 This is Goofy's pad at Disneyland CA, Summer 2006. 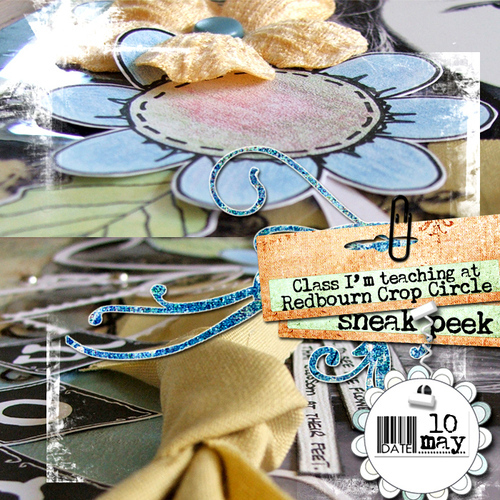 Diane's class layout at the Redbourn Crop Circle earlier this month. So many great little details on this one, including the gorgeous transparent hearts, which we edged with paint. Carly pictured at Busch Gardens in Florida last year. 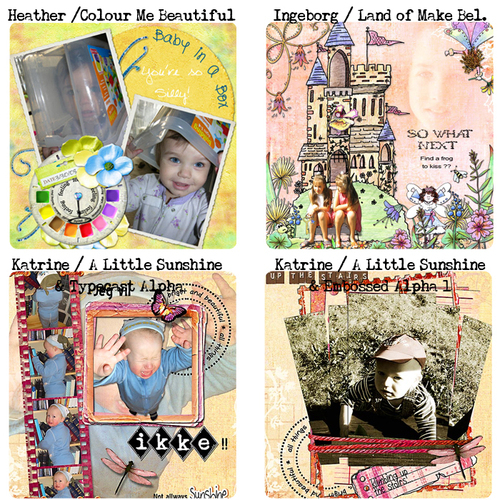 Heavens, where did the last 3 weeks go... life has been busy, but loving it :) released a couple of big kits since the last update and even managed a few layouts too! Carly pictured at Knotts Berry Farm in California - Summer 06, on this huge coaster - Paul told her to try it out before he'd go on it LOL (brave Daddy ... OR silly Daughter!) 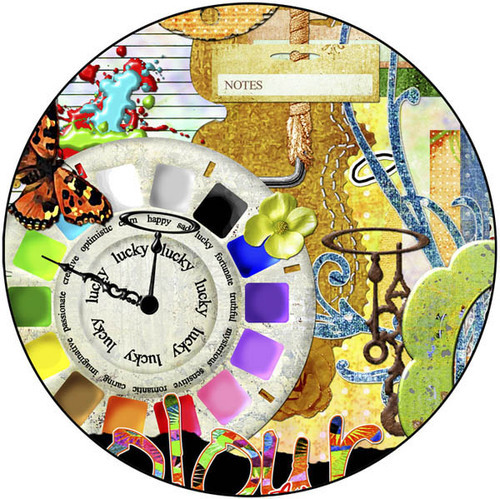 Everything from COLOUR ME BEAUTIFUL. 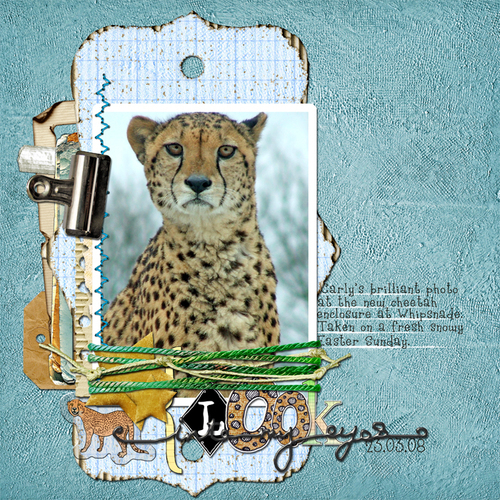 This kit is full of great stuff ... check out the contents at the stores: NDISB, Treasures to Scrap and ScrapScandiStyle ... where contents are all explained in detail. 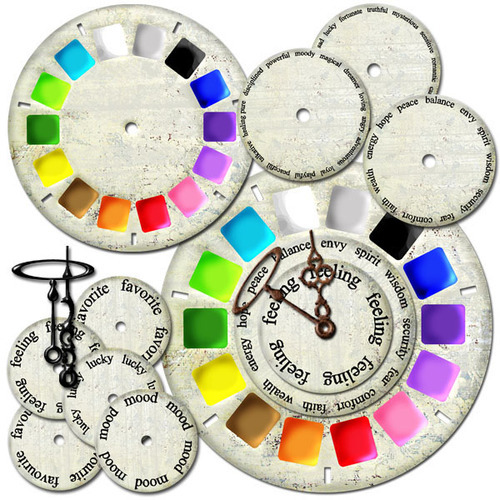 Centre-piece of this kit, is the colour-wheel ... build your own to match the mood of the photo you're scrapping, your feelings, something which is your favourite or lucky ... the sky's the limit. Spin the wheels, build to suit and use the pointers - anchoring them with a matching brad. Contents in a little more detail. 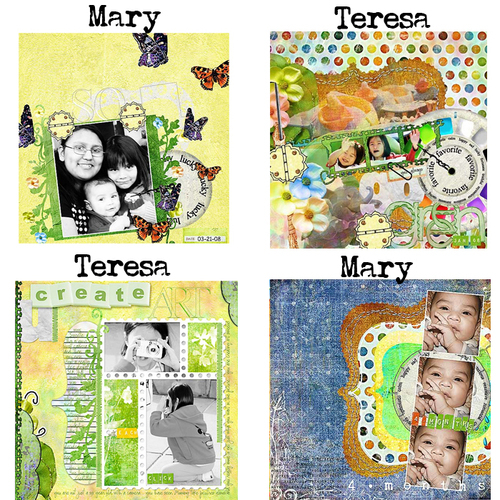 Kit also includes a pack of 10 papers - some a little grungy, clean, textured and some a mix of all these. Page using COLOUR ME BEAUTIFUL ... moi... 19 years ago, wish my body was in the same condition now! We were on a cruise to Bimini in the Bahamas, just leaving Miami - the ocean was as calm as anything, not a ripple... and I felt so sick LOL - couldn't take my eyes of the horizon! 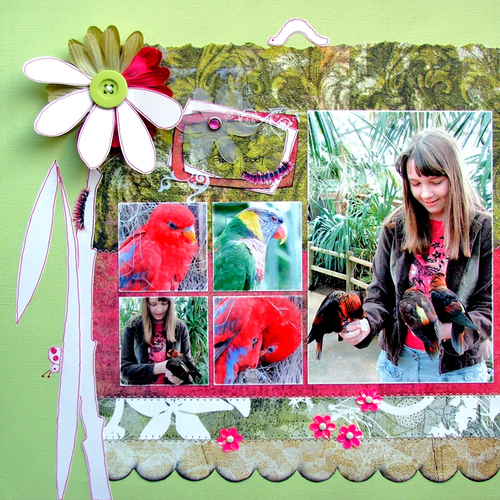 Found this little beauty in a corner of Birdworld in Surrey ... matches my paper perfectly! 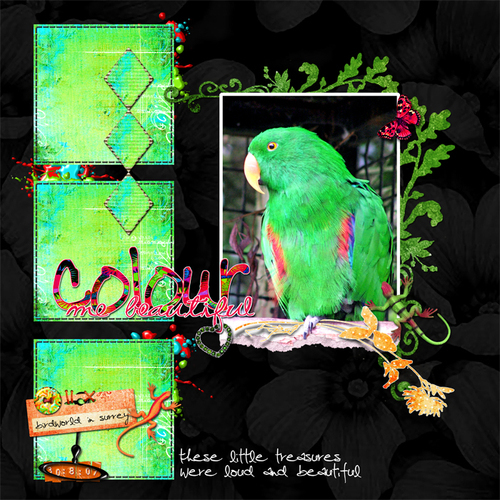 The 3 squares are 12x12 sheets reduced. 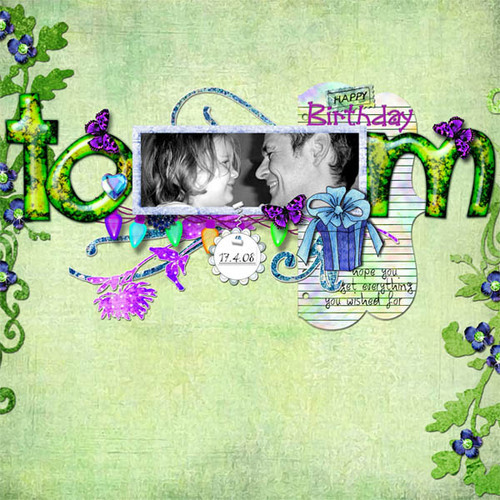 Also used Embossed Alpha from Set 2 and Lizards. My friend Rose and I - on a trip out last week - acting the fool and trying to get a few half-decent pics of us both ... Just about everything from COLOUR ME BEAUTIFUL. printed label with thanks to Atomic Cupcake. 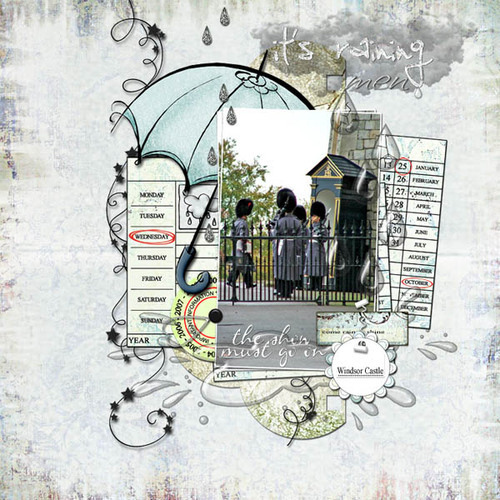 NEW KIT... just released "WEATHER STATION" ... suitable for just about any theme - we all have weather, right?! 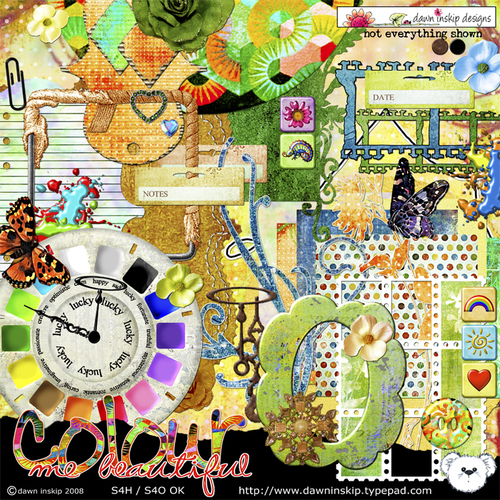 LOL This kit is massive in the embellishment department - oodles of doodles. Much of this kit is well suited to Hybrid projects too!! 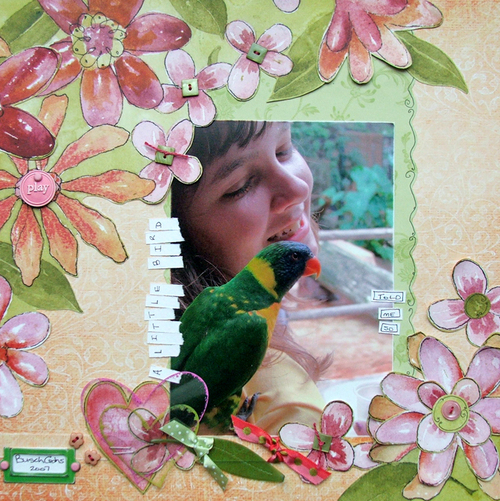 This kit is on sale now at NDISB, Treasures to Scrap and ScrapScandiStyle. 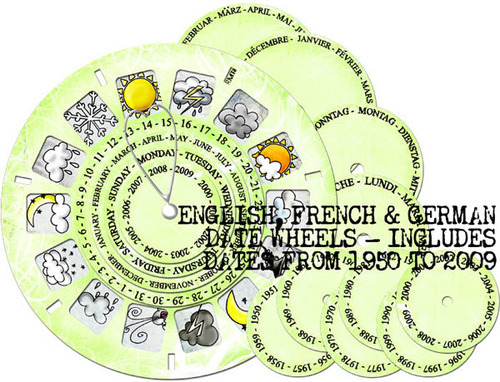 Date wheels in the download, include interchangeable wheels in English, French and German... some pointers and a brad to anchor everything together ... just spin the wheels to match up dates to a weather icon - loads of uses for this. 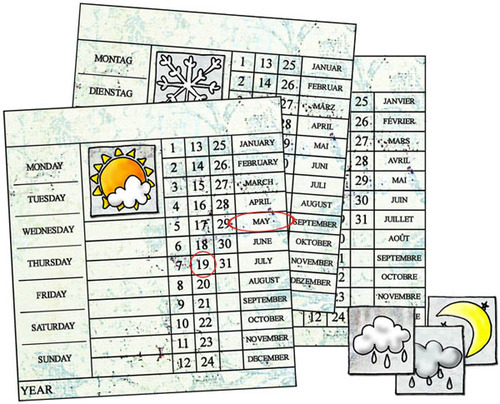 Also included... weather charts - again in English, French and German... with elements to 'ring' the day/date/month, space to add a weather icon and space for journaling... all perfect for both digi and hybrid projects. 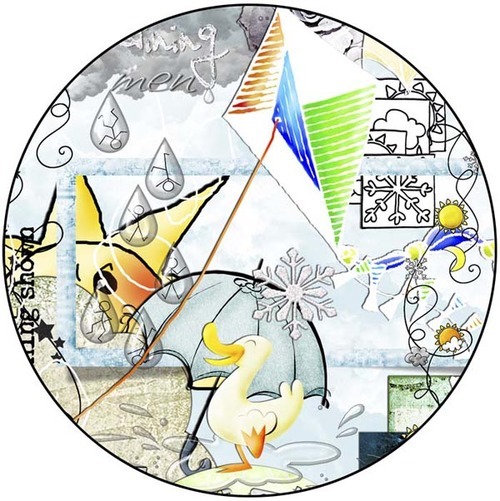 Close-up... doodled weather icons are included in both black and white and colour ... oodles of clouds - white and fluffy to black and stormy, some with wordart ... lots of animals included too. 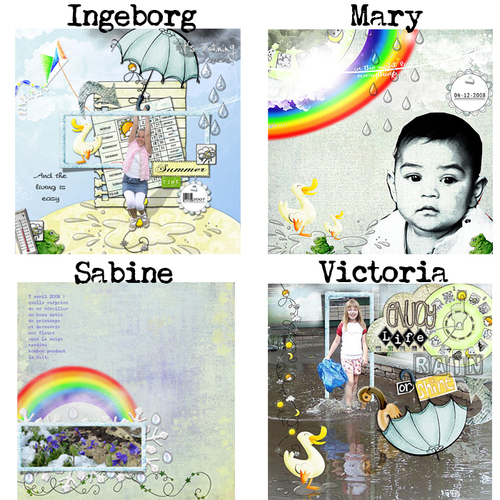 Puddles, splashes, flourishes and a whole host of weather related embellishments... plus a pack of 10 papers! The Show Must Go on - whatever the weather! Layout created using WEATHER STATION... pics taken at Windsor Castle. 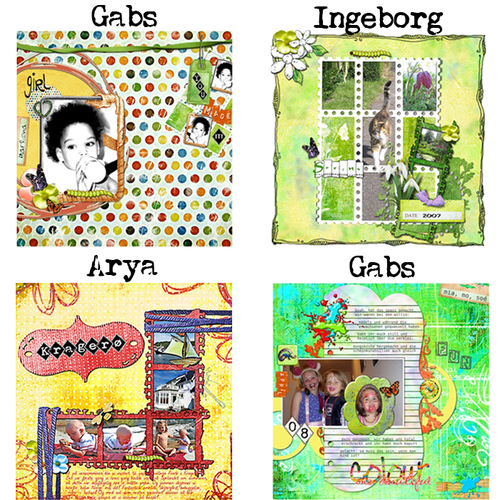 Also used a stamp from MAIL ART kit. 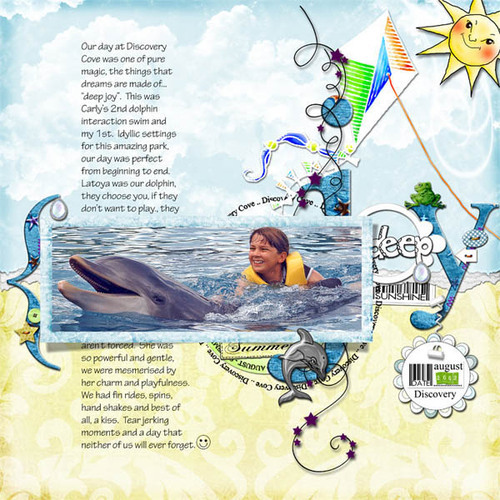 Carly photographed by Paul at Discovery Cove during our Dolphin Swim - if you ever get the chance to do this, take it! It was one of the most tear-jerking moments of our lives and we have so many great memories of our day there. 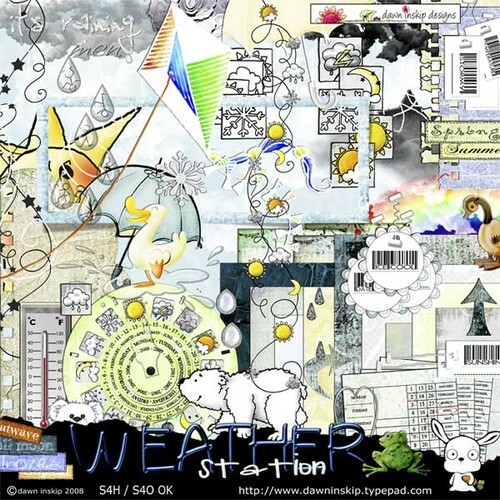 Paper and most of the elements from WEATHER STATION, plus SUPERSTAR ALPHA and, EMBOSSED ALPHA from Set 1 and BUTTONS. 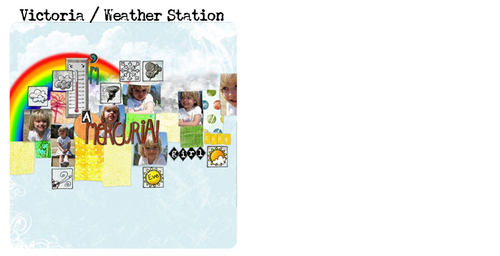 Team layouts using WEATHER STATION... thank you girls so much for everything :) Great inspirational pages !!! 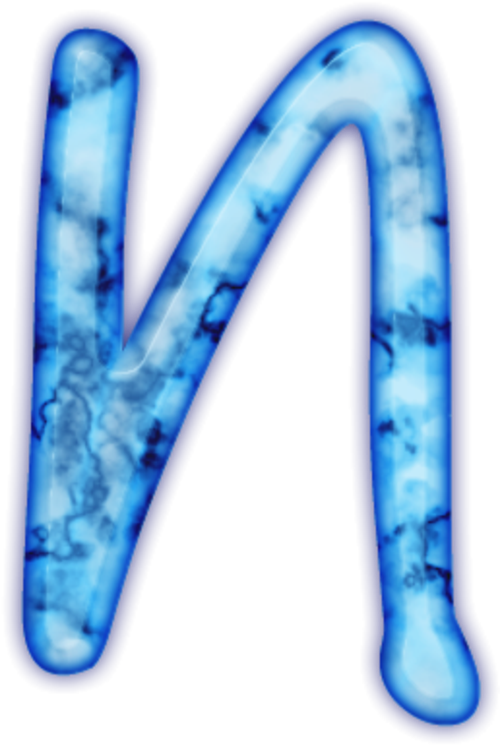 Have some other great news too, but will keep you hanging until next update over the weekend hehehe (I'm BAD). 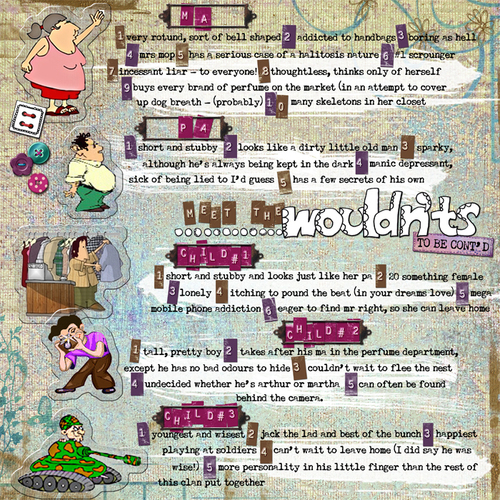 The snow has melted away here, but gathered up some coolness for todays entry :) Those of a nervous disposition, please skip this first para... whilst I introduce "The Wouldn'ts" - a very disfunctional family of April Fools- fictitious of course ;) (unless any readers know different!). Here's the lo-down on these weirdo's and a chance for you to get to know them a little, before they continue on their oh-so-boring lives - to be continued :) The page also features a new alpha pack - 'Embossed Alpha's Set 1'. This is one of those little alpha's you shouldn't be without :) perfect for any project and theme. 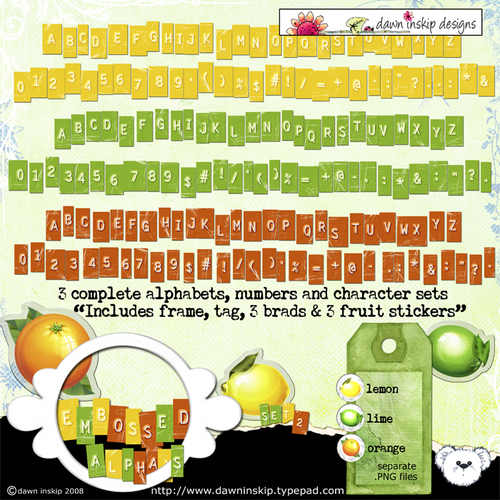 You get 3 full sets of alphabets, numbers and a hoard of characters and symbols. 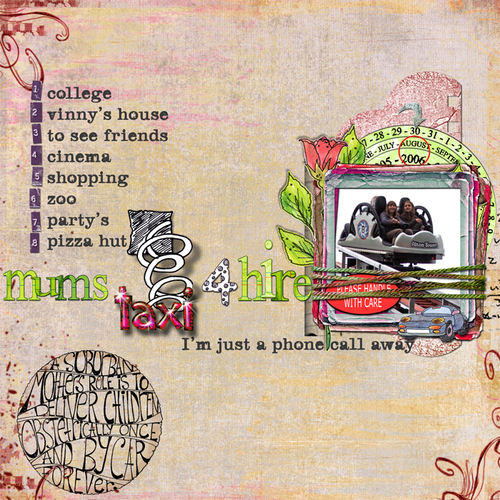 Also included in this download: a rusty bookplate, rusty brad, distressed tag and file tab. A whopping 165 separate .PNG files! These things are very addictive! 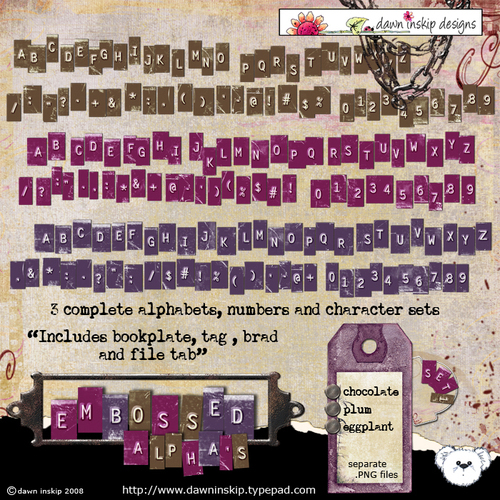 "Embossed Alpha's Set 2" ... Again, you get 3 sets of alpha's, numbers and a hoard of characters and symbols. 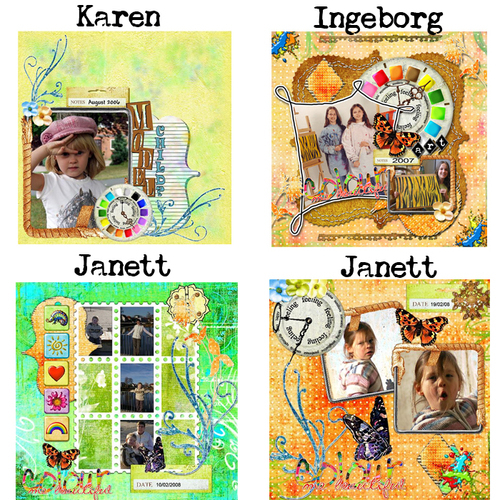 Also included in the download: a white enamel frame, distressed tag, 3 transparent fruit stickers and 3 fruit-decorated brads. A staggering 168 separate .PNG files. 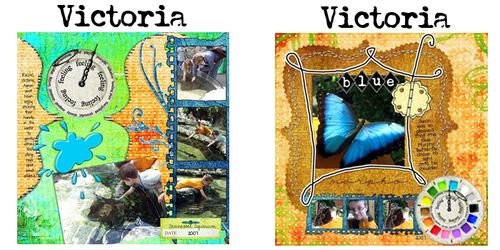 Both these packs are available at NDISB, Treasures to Scrap and ScrapScandiStyle. My good friend Michelle, sent me these images of her daughter Jess skating in her end of year show... this talented young lady kept her cool and skated a perfect solo performance - I am so proud you let me scrap these images Michelle and very proud of you Jess ... 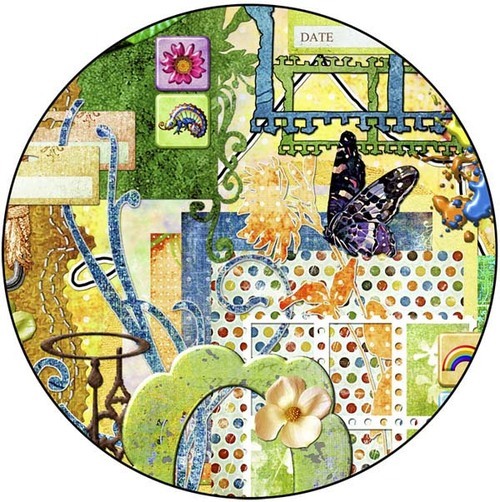 Layout features my new "Buttons" pack available at the Sophia Sarducci store on Monday 7th April (at a discount!)... 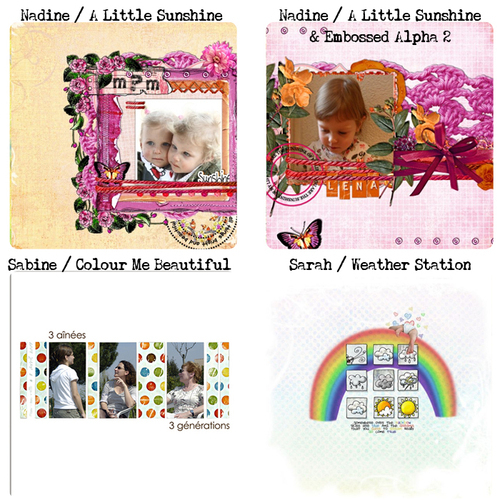 other elements from kits: Embossed Alpha Set 1, A Little Sunshine, Midnight Diamonds, Fresh and Cartoon Capers. 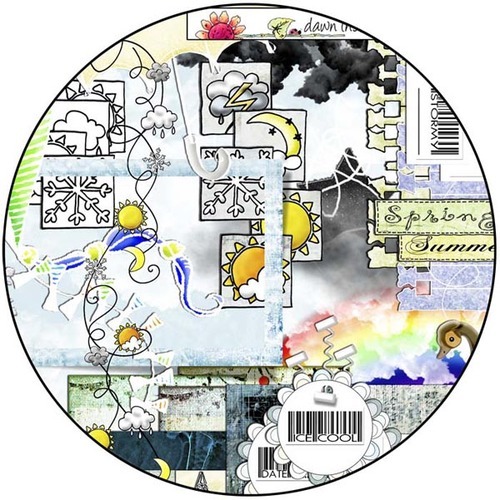 Button pack - 30 gorgeous buttons to adorn any page layout... also includes 2 button 'stitches' in grey - for easy recolouring ... drop shadows only on preview. We don't get alot of snow, so I have to make the most of any photo opportunities when we do... we all trundled off to the zoo (with picnic!). 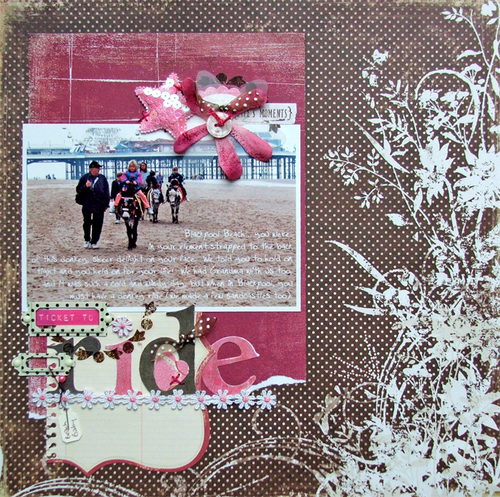 This one uses the new Embossed Alpha Set 1, Buttons, A real Gem (arrow), Dear Santa (glitter flake), Baby Love (paper), A Grand Day Out (flowers). 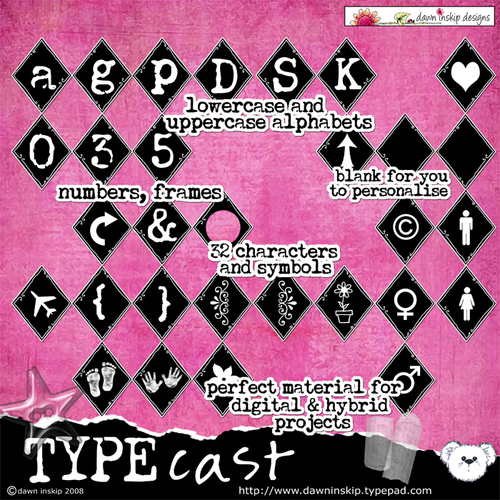 Alpha crazy this week :) "Type Cast Alpha" is much more than just an alpha... a little black number variety - one of those that you can't do without as it will compliment any layout. Your download includes both uppercase and lowercase alphabets, numbers and 32 symbols and characters. 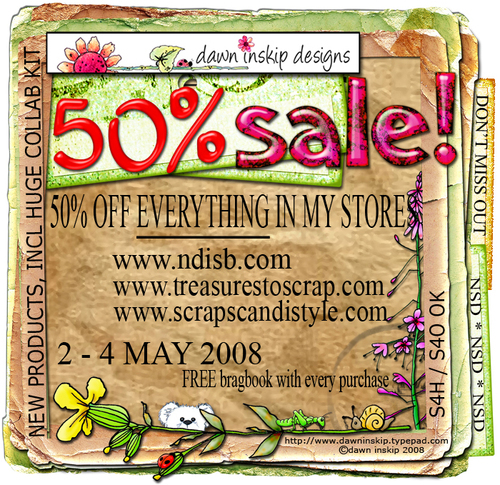 Available at NDISB, Treasures to Scrap and ScrapScandiStyle stores (links in sidebar). Look at this amazing photo, taken by Carly, of the newest additions to Whipsnade Zoo - look cuddlesome don't they?! (and Carly's photography skills are fantastic). 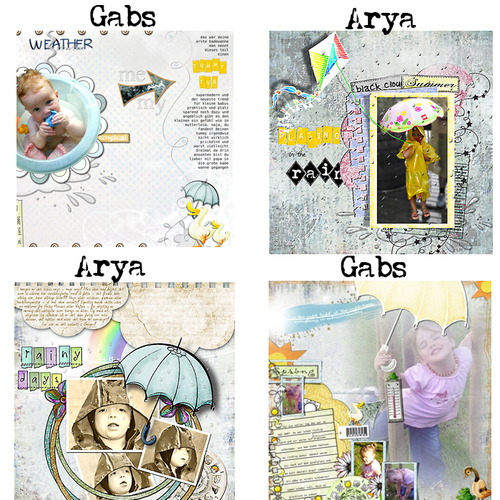 Kits used: Type cast Alpha, New Beginnings, The Write Stuff, Mail Art, Midnight Diamonds - and a few little things to be released soon. 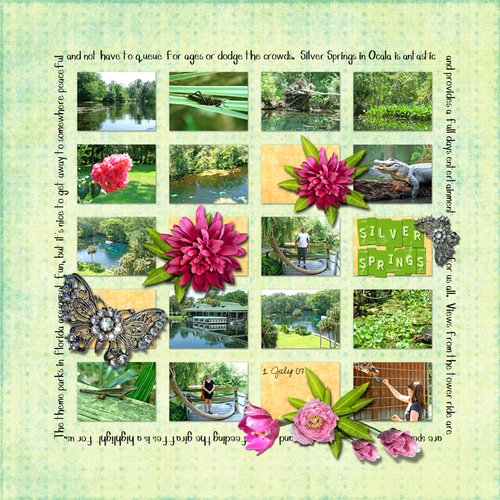 Peggy RAK'd me this delicious "Spring Fever" kit - full of gorgeous papers and elements (she is the queen of all things bling)... check out her blog HERE - for more Peggy gorgeousness :) In additional to Peggy's kit, I used my Embossed Alpha Set 2 for the title. She's even scrapped us contributors all on a page, along with a little thank-you. 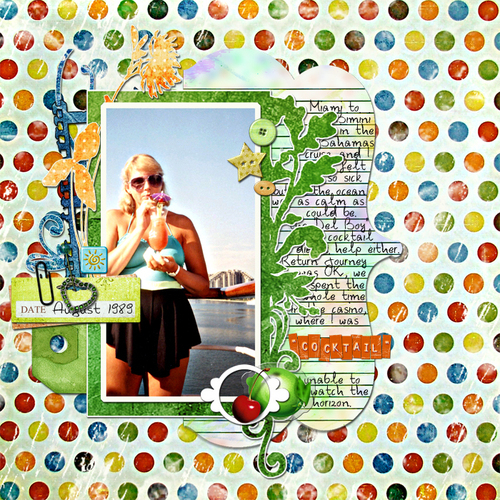 I am so inspired by each and every layouts and the stunning photography. 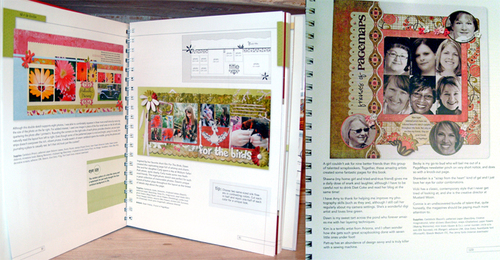 And my layout - a double pager no less... never been known LOL (well, rarely!). Carly at Woburn, doing what she loves to do best :) List of supplies is in the book! 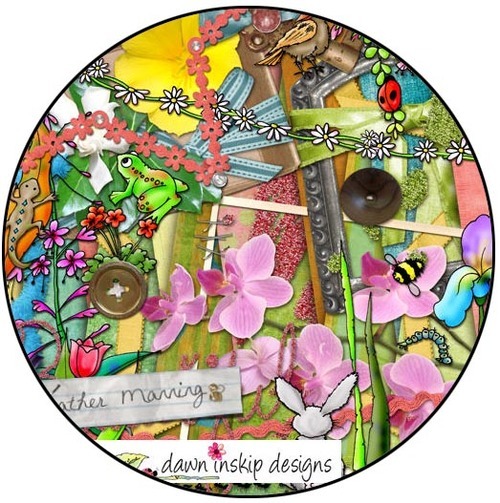 On >>BIG SAVINGS - Inspire Me products for 1 day only + Baby Barn Owl Video (cute)!